Yes and no. The fact is: protein is the most important building material for your muscles. 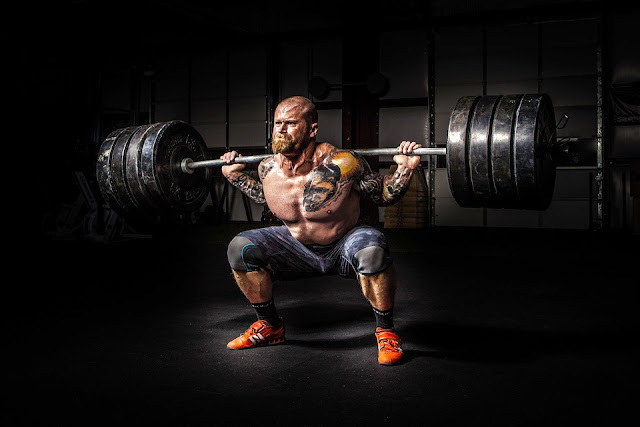 The amino acids (each protein consists of many small amino acid items) not only form the basis for building new muscle fibers but are also indispensable helpers in repair and regeneration processes of the muscles. But to build muscle or muscle mass, it is not enough, just (more) to eat proteins. Because without appropriate stimuli - in the form of sport - the muscle mountains do not start to grow. So: proteins are essential for muscle growth, but only in combination with strength training, you will see success. True to the motto "a lot helps a lot", many amateur athletes tip a protein shake after another. But the body is not able to use so much protein at once. This is why the "30-gram myth" has long been maintained: It says that the body can not absorb more than 30 grams of protein per meal. Everything that is eaten more, is excreted again. This is of course nonsense! It is true that not more than about 30 grams of protein can be transported from the stomach to the intestine within 60 to 90 minutes. The rest just lingers longer in the stomach but is definitely not excreted, that would be the purest waste for the body. The body regulates protein intake according to its own needs and the more protein is absorbed, the slower the absorption takes place. In addition, individual protein intake depends on the type of metabolism and body weight. Simply multiply your body weight with the corresponding values, e.g 80 x 1.2. A regularly trained amateur athlete with 80 kilos can, therefore, take a total of at least 96 g of protein daily. So many are spread throughout the day, for example, in 2 eggs (14 g), 200 g of chicken breast (48 g), 100 g of tuna in its own juice (24) and a protein shake from 300 ml of milk and 30 Whey protein (32 g) , Incidentally, the body can also "withstand" maximum levels of 3 grams of protein per kilo of body weight, but this is not recommended for a long time. The quality of a protein can be determined by its biological value. The biological value indicates how well your body can use absorbed protein from the diet and build muscle mass from it. The more endogenous protein can be produced from 100 grams of ingested protein, the higher the biological value. 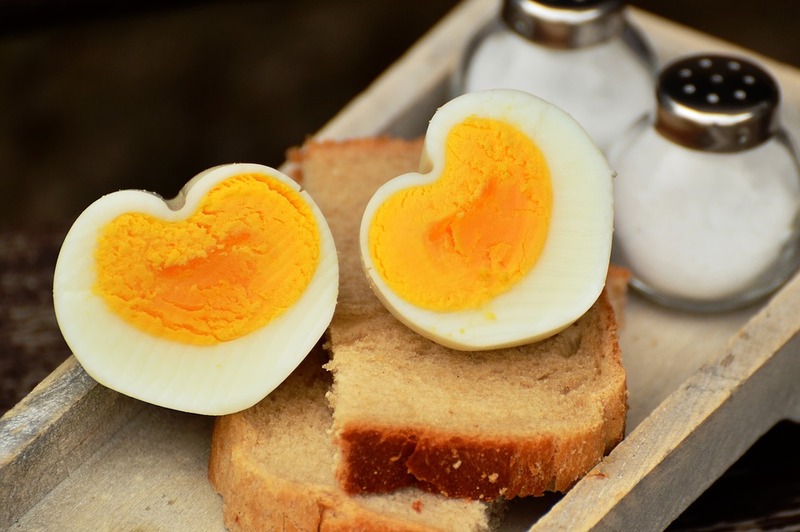 The whole egg (egg white + yolk) is considered to be the highest value with a biological value of 100 and sets the "gold standard" - the "myth" is therefore true. Well, theoretically. For the 100 percent can certainly be topped: Combining vegetable and animal protein cleverly with each other increases its value - even beyond 100 percent. The combination of potatoes and eggs, for example, is 136, potatoes and quark have a biological value of 113, corn and eggs of 114 and beans with egg make it still to 108. 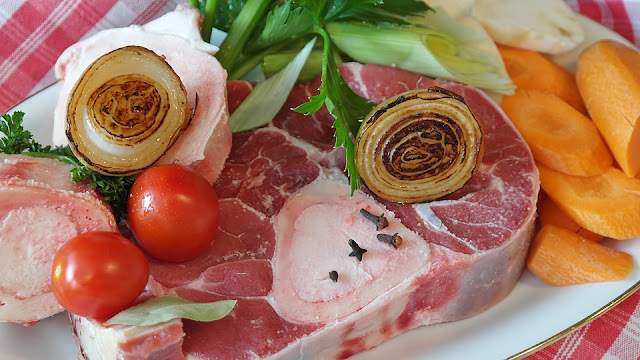 Animal protein is not generally better BUT it can be better absorbed by the body. For the more similar the dietary protein to the body's own protein, the better we can utilize it. And since humans are more like a cow than a legume, animal proteins are clearly ahead of the game. Also in terms of biological value (see point 2), animal foods consistently fare better. But vegetable protein also provides you with all the essential (vital) amino acids and is therefore by no means a "second-class protein". Just eat as varied as you can: the more different, high-protein foods you combine, the higher the chance that you will absorb all the important amino acids for optimal muscle growth. Plus: Animal foods often contain a lot of fat (unhealthy saturated fat) and cholesterol. Vegetable proteins in vegetables or grains, on the other hand, are naturally accompanied by more healthy unsaturated fatty acids and are cholesterol-free. In addition, they provide a decent portion of fiber that will fill you up and promote digestion. Yes, this claim is true. Proteins are good allies in the fight against superfluous kilos. But: Just because you eat high protein, you do not automatically take off. Because when losing weight, it always depends on the energy balance and should be "negative" at the end of the day, that is: you need to consume more calories daily, as you take. Only if you are in minus with your calorie balance, you can lose weight - logically, right? But proteins can help you on the way to the dream body: protein-rich foods such as fish and poultry, legumes and low-fat dairy not only fill you up for a long time but also keep your blood sugar levels stable. Food cravings while losing weight are a thing of the past. Wait a minute, have not we just clarified that proteins help you lose weight? And now you should suddenly fat? Yes, there is this myth. There is even something to that assertion, even if it seems nonsensical at first. However, here too the calorie balance at the end of the day is crucial: And since proteins - just like carbohydrates and fat - provide calories, you can of course by too much protein correspondingly too many calories. But there is another important point: the keyword is gluconeogenesis. This means as much as glucose regeneration. Simply explained, this is a process in the body that converts amino acids into glucose (sugar) for energy. Carbohydrates usually provide the necessary sugar building blocks for energy. Lack of carbohydrates (eg Fat can also be used to generate energy (ketogenesis). The glucose that has formed after the transformation of the amino acids is now either used directly for energy or stored in the glucose storage. If these stores are full (and only then!) The glucose is converted again - in fat. And if that gets stored in the fat deposits, you too will be fat. 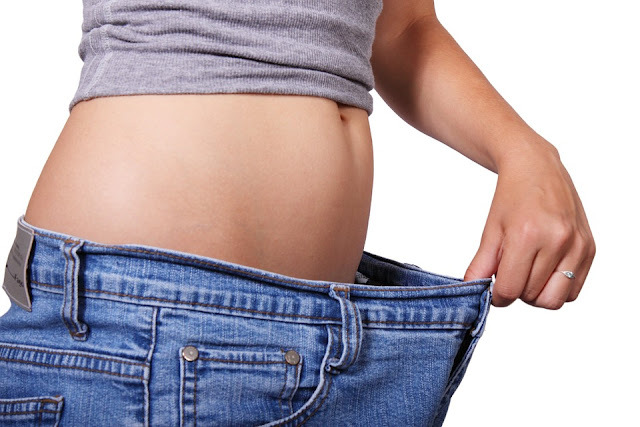 But to get there, you really need to dramatically reduce your carbohydrate AND fat intake. Because for the body it is a real strength act to convert proteins into sugar or fat, which he could well do without. Just a few years ago, few guys in the gym saw a protein shake drink. Because such "muscle drinks" sipped almost exclusively bodybuilders. The stuff is not for Normalos and certainly not for women, because you would get too many muscles. Behind it was again the myth that protein powder would convert almost directly into muscle mass. It would be nice, right? That this is a real protein fairy tale, hopefully, everyone is clear by now. Because as mentioned in point 1), you can drink as many proteins shakes as you want: Without sports, you will not grow any muscles. However, it is true that with a good protein shake you can absorb the protein in a very high-quality form, which can be used by the body well. But one should not forget that protein powder is chemically produced despite everything and is not a food, but only a dietary supplement. The word "supplement" describes it very well: You do not need such products necessarily, but you can supplement his diet if necessary with it. Because a healthy, balanced and varied diet is the alpha and omega for your body, and that also applies to muscle growth. For maximum muscle growth gains, eating high-protein foods daily and cleverly varying animal and vegetable protein levels will give your body all of the vital amino acids. 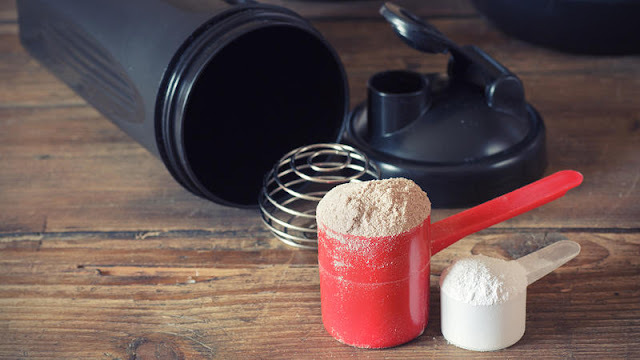 Protein powders are no better than natural, protein-rich foods - but they can certainly complement your diet, as they provide high-quality protein. 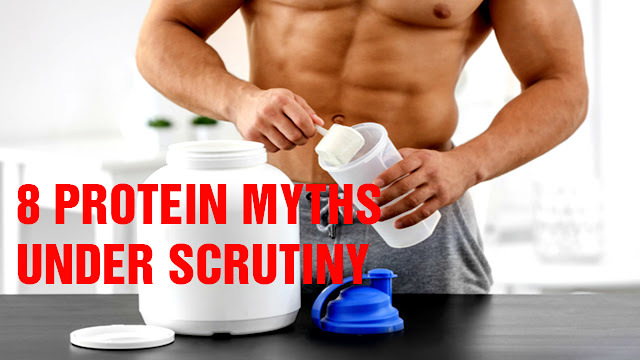 Last but not least: The classic protein myth. Fact: If you have two healthy kidneys, you do not need to worry about possible kidney damage from too much protein. Various studies have already shown that a high protein intake (up to 4 g / kg body weight, i.e really HIGH!) In a healthy person has no negative impact on the health of the kidneys. However, anyone who has known kidney disease, or who may be hereditary, should discuss with his or her doctor what their daily protein requirements should optimally be.